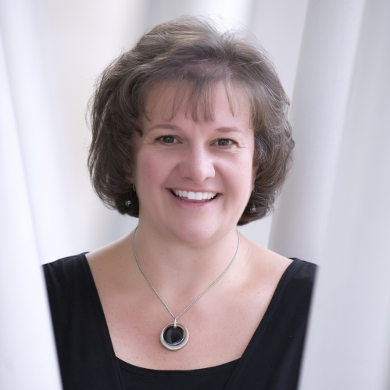 MaryAnn Fasold Poling earned bachelor's degrees in both music education and fine arts from Indiana University of Pennsylvania, where she held the principal chair in all major ensembles and won the Frank Gorell competition. Ms. Poling attended the Peabody Institute of Music on a full scholarship, where she played principal oboe in graduate ensembles, earning her masters in oboe performance. At Peabody she worked under the tutelage of Sara Watkins, with whom she also pursued doctoral studies until Ms. Watkins’ untimely death in 1997. Prior to joining the BSYO, Ms. Poling spent 12 years as conductor of the intermediate orchestra for the Greater Baltimore Youth Orchestra Association after teaching for nine years in the Harford County Public Schools. She has been a conductor for the Maryland Classic Youth Orchestras since 2010. Beyond her orchestral work, Ms. Poling serves as assistant conductor for the Peabody Children's Chorus. Ms. Poling has adjudicated for festivals in Baltimore and Howard counties, and has conducted honors orchestras in Maryland and nearby states. Ms. Poling has a substantial private studio and performs as a freelance musician in the Baltimore area. She also leads the music ministry at New Hope Community Church in Catonsville. Ms. Poling lives outside of Baltimore with her husband and two daughters, both of whom are aspiring artists, and her pet peacock.